Nabil Fekir (born 18 July 1993) is a French football player that plays for Olympique Lyonnais. He played in the 2018 FIFA World Cup. 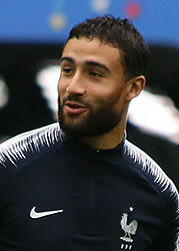 Wikimedia Commons has media related to Nabil Fekir. This page was last changed on 4 September 2018, at 17:06.